SimSTAFF is one of the most popular Staffing agencies in Huntsville, Alabama, that has a strong reputation of providing seasoned and skilled professionals to top-level companies in the field of simulation training, engineering, programming, and gaming. With a complete understanding of the client’s requirements and with the help of a seasoned and trained recruiting team, SimSTAFF is able to find the right talent for the right job. SimSTAFF provides offers a wealth of innovative and out of the box staffing strategies, it is able to enable the clients to place complete trust us to help them gain an edge over their competitors in finding the most qualified and experienced professional required for the position. The experienced and talented Huntsville SimSTAFF recruiting team combines local knowledge and outstanding contacts, works with employers to identify and hire the most talented professionals. The team at Huntsville Alabama is dedicated in providing premium technical staffing services for almost all of the top level companies in Huntsville. The team at Huntsville is geared up to meet all kind of requirements in the field of engineering, programing and simulation training. SimSTAFF is home to many companies in finding the high-performance and skilled professionals. With over 40 years of expertise in the field of technical recruiting services, SimSTAFF has positioned itself as a premier provider of knowledge based recruiting in Huntsville. SimSTAFF is the chosen partner for many premier engineering and simulation training companies in Huntsville is because of the fact that we deliver quality and professional candidates that perfectly suits their requirements. Our Direct to Hire Services includes placing qualified and experienced candidates for direct placement with the companies. Our placement fees are so reasonable and professional. The placement is placed in accordance with the requirement of the company, whether in a contingent or in a retained basis. Recently many companies go for the Contract-To-Hire process, where they hire employees in a contract basis for a short term, and based on the performance and attitude of the employees, they are provided a permanent position. 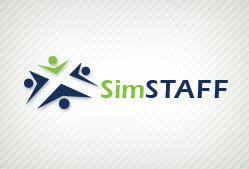 SimSTAFF also comes to the rescue of companies, that has a larger workforce of temporary employees, by placing an On-Site SimSTAFF Facilitator inside the company premises, who is well trained and experienced in providing motivational training to the temporary employees to increase production and also manage them to a larger extent. SimSTAFF combines its deep understanding of the local Huntsville employment market along with its extensive National level reach in providing staffing services makes it the top simulation staffing and technical recruiting services in Huntsville and across the state of Alabama. This combination of both the local and National reach has empowered SimSTAFF to identify and place skilled and experienced resources for some of the top positions in companies across Huntsville.